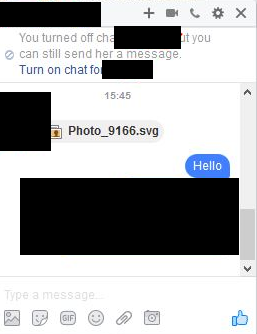 If a you were to install this extension, it will take advantage of your browser access to your Facebook account to secretly mass-message your friends with the same SVG image file—like a worm, this is how it spreads. Victims don’t need to have very many friends for this tactic to be successful at propagating. For instance, if you have over 100 friends, then you only need less than 1% of your friends to fall for this for the scam for it to continue to propagate. 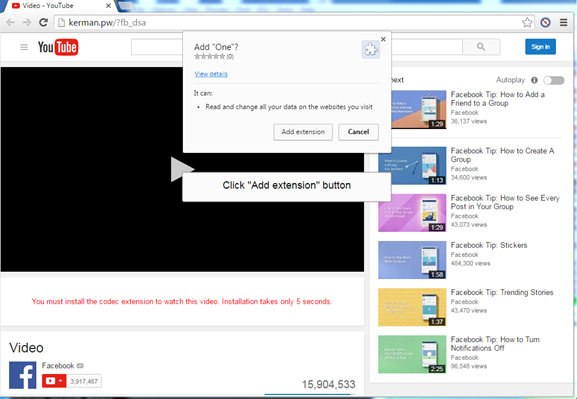 To make matters worse, the extension also downloads Nemucod, a generic malware downloader generally used to download and install a variety of other threats. Usually the go-to threat is ransomware given it’s proven business model for criminals. Those who manage social media accounts on behalf of businesses are particularly at risk of advanced malware and other cyberattacks. Earlier this spring, a new Windows trojan dubbed Stresspaint was found hidden inside a fake stress-relief app and likely spread through email and Facebook spam campaigns to infect 35,000 users, according to researchers at Radware who discovered the malware. Stresspaint was rather deviant in the way it stole Facebook account credentials and logged into accounts looking specifically for data such as “each user’s number of friends, whether the account manages a Facebook Page or not, and if the account has a payment method saved in its settings,” according to Bleeping Computer. Allowing cybercriminals to gain control of brand social media accounts can carry grave consequences such as reputation damage, loss of confidential information, and deeper access into an organization’s network. 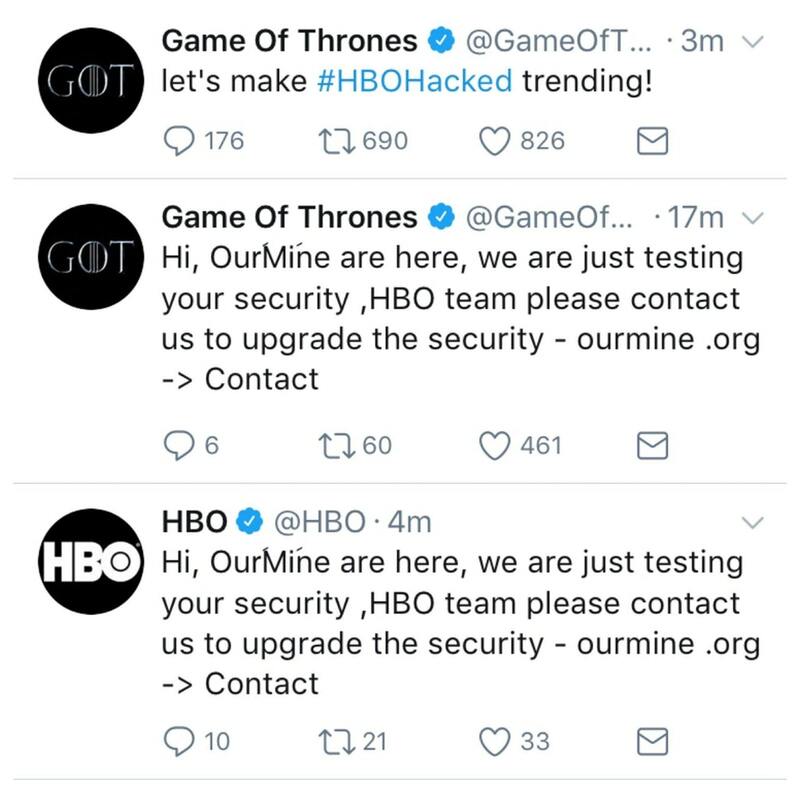 Last year, HBO was humiliated on their social profiles when the notorious hacker group OurMine breached several the network’s accounts and posted messages before the company finally regained control of their logins. Following the recent trend in malware, sophisticated variants of existing strains are now aimed at cryptocurrency users. A malicious Google Chrome extension called FacexWorm, which spreads through Facebook Messenger, was found to have morphed with a new ability to hijack cryptocurrency transactions made on a host of popular online exchanges, according to Coindesk. This further underlines the importance of exercising caution with the information you share on social media to avoid being a target, particularly if you are a user of cryptocurrency. Cryptocurrency scams are another common threat that spreads throughout social media. Twitter is particularly notorious an outbreak of crypto scam bots that pose as high-profile tech leaders and industry influencers. Learn more about this type scam in my previous post. Given the nature of social networks, many are likely to consider themselves to be in the company of friends on sites like Facebook, Instagram and Twitter. However, this assumption can be dangerous when you begin to trust links on social sites more than you would in your email inbox or other websites. For instance, a simple bot-spam message on Twitter was able to grant a hacker access to a Pentagon official’s computer, according to a New York Times report published last year. It’s wise to be wary of clicking on all links, even those sent by friends, family or professional connections, as compromised social media accounts are often used to spread scams, phishing, and other types of cyberattacks. After all, just one wrong click can lead to an avalanche of cyber woes, such as identity theft, data loss, and damaged devices. Cyberattacks are on the rise, with UK firms being hit, on average, by over 230,000 attacks in 2017. Managed service providers (MSPs) need to make security a priority in 2018, or they will risk souring their relationships with clients. 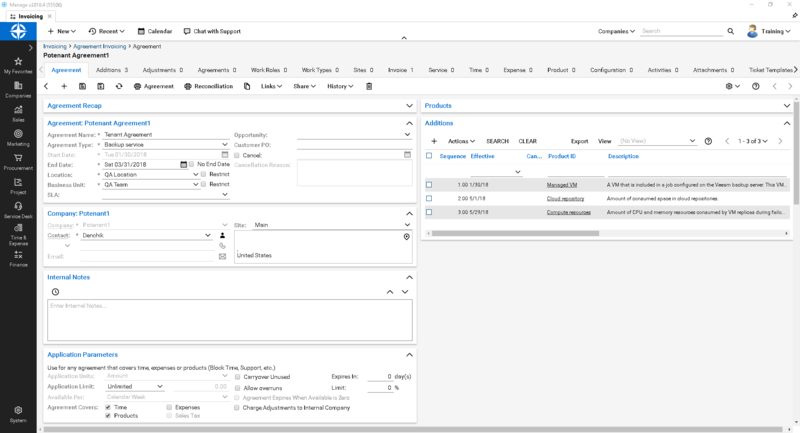 By following 3 simple MSP best practices consisting of user education, backup and recovery, and patch management, your MSP can enhance security, mitigate overall client risk, and grow revenue. An effective anti-virus is essential to keeping businesses safe; however, It isn’t enough anymore. Educating end users through security awareness training can reduce the cost and impact of user-generated infections and breaches, while also helping clients meet the EU’s new GDPR compliance requirements. Cybercriminals’ tactics are evolving and increasingly relying on user error to circumvent security protocols. Targeting businesses through end users via social engineering is a rising favorite among new methods of attack. An email from a trusted friend, colleague or contact—whose account has been compromised—containing a compelling story with a malicious link/download is very popular. For example, a managing director’s email gets hacked and the finance department receives an email to pay an outstanding “invoice”. A phishing email, comment, or text message that appears to come from a legitimate company or institution. The messages may ask you to donate to charity, ‘verify’ information, or notify you that you’re the winner in a competition you never entered. A fraudster leaving a USB around a company’s premises hoping a curious employee will insert it into a computer providing access to company data. Highly topical, relevant, and timely real-life educational content can minimize the impact of security breaches caused by user error. By training clients on social engineering and other topics including ransomware, email, passwords, and data protection, you can help foster a culture of security while adding serious value for your clients. It’s important for your MSP to stress the importance of backups. If hit with ransomware without a secure backup, clients face the unsavory options of either paying up or losing important data. 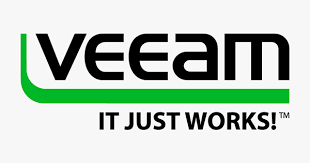 Offering clients automated, cloud-based backup makes it virtually impossible to infect backup data and provides additional benefits, like a simplified backup process, offsite data storage, and anytime/anywhere access. In the case of a disaster, there should be a recovery plan in place. Even the most secure systems can be infiltrated. Build your plan around business-critical data, a disaster recovery timeline, and protocol for disaster communications. How will you communicate with customers? Once a plan is in place, it is important to monitor and test that it has been implemented effectively. A common failure with a company’s backup strategy occurs when companies fail to test their backups. Then, disaster strikes and only then do they discover they cannot restore their data. A disaster recovery plan should be tested regularly and updated as needed. Once a plan is developed, it doesn’t mean that it’s effective or set in stone. Consider it an iron law; patch and update everything immediately following a release. As soon as patches/updates are released and tested, they should be applied for maximum protection. The vast majority of updates are security related and need to be kept up-to-date. Outdated technology–especially an operating system (OS)–is one of the most common weaknesses exploited in a cyberattack. Without updates, you leave browsers and other software open to ransomware and exploit kits. By staying on top of OS updates, you can prevent extremely costly cyberattacks. For example, in 2017 Windows 10 saw only 15% of total files deemed to be malware, while Windows 7 saw 63%. These figures and more can be found in Webroot’s 2018 Threat Report. Patching is a never-ending cycle, and it’s good practice to audit your existing environment by creating a complete inventory of all production systems used. Remember to standardize systems to use the same operating systems and application software. This makes the patching process easier. 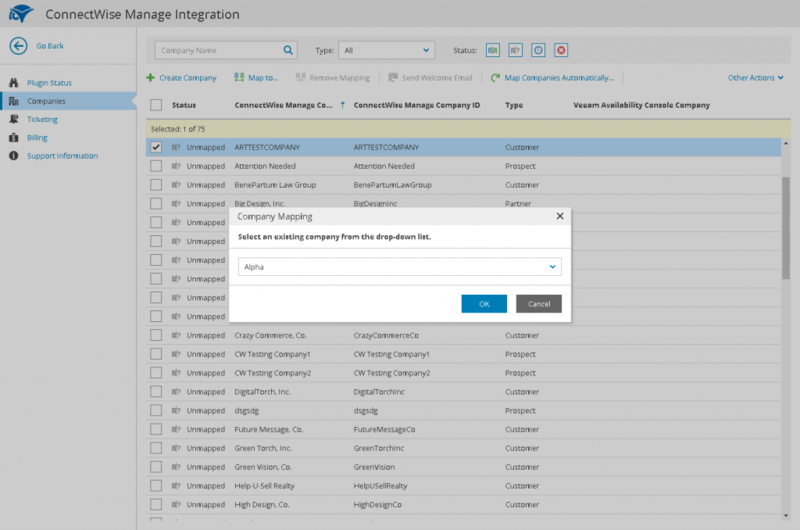 Additionally, assess vulnerabilities against inventory/control lists by separating the vulnerabilities that affect your systems from those that don’t. 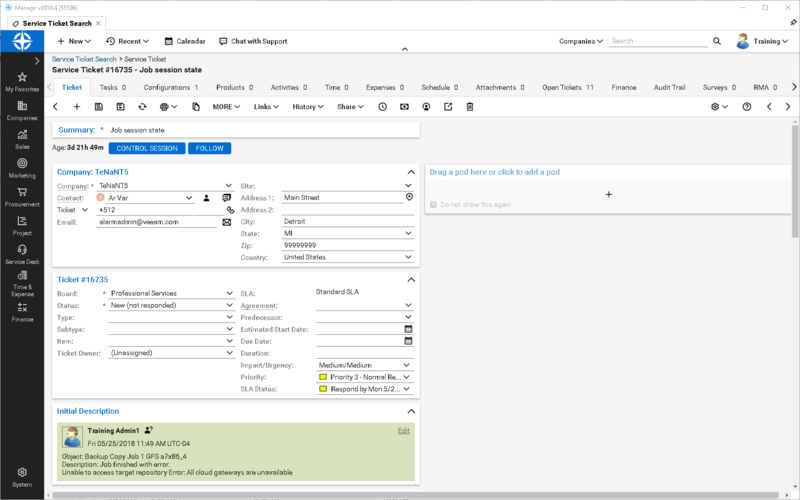 This will make it easier for your business to classify and prioritize vulnerabilities, as each risk should be assessed by the likelihood of the threat occurring, the level of vulnerability, and the cost of recovery. Once it’s determined which vulnerabilities are of the highest importance, develop and test the patch. The patch should then deploy without disrupting uptime—an automated patch system can help with the process. Follow these best practices and your MSP can go a lot further toward delivering the security that your customers increasingly need and demand. Not only you improve customer relationships, but you’ll also position your MSP as a higher-value player in the market, ultimately fueling growth. Security is truly an investment MSPs with an eye toward growth can’t afford to ignore.